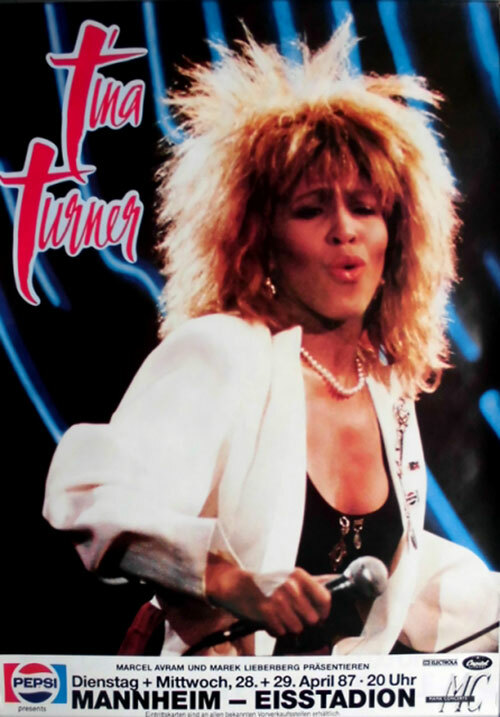 After leaving France , Tina landed in Belgium for a TV performance and a one night only concert in Antwerp. Tina performed her hit song "Typical Male" in a Belgian TV program called Bingo! Here’s the video!! Tina headed for the Netherlands to do 4 concerts in Rotterdam. The audience went wild when Tina started doing "Proud Mary". Tina didn’t perform it in most of her previous concerts, because she was a little tired of the song. When she did the song in Rotterdam, the audience sang it for her and Tina realised that Mary still should be sung on the rest of her tour, cause she still was rolling on the river. 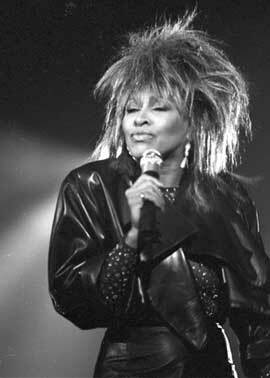 We have a small Dutch TV special of Tina arriving in The Netherlands, with backstage footage, interview and performances on Countdown in 1987. Enjoy!! After giving the spectacular shows in The Netherlands, Tina flew to Germany again. Tina gave shows in Oldenburg, Dortmund, Münich and Mannheim. As for Dortmund, which is very special to us, cause Tina taped two video’s there for her upcoming singles. They’ve shot the video for "Break Every Rule" and "Paradise Is Here". As most fans know, the video-ending of the "Break Every Rule" video shows Tina standing in front of the Westfalenhalle in Dortmund wearing a leather jacket, jeans and sunglasses. Here are the two video’s which were shot during Tina’s visit to Dortmund. But that’s not all!! Somehow, someone recorded a whole concert in Dortmund and released it as an unofficial double album called "Paradise Is Here". This album is limited and not easy to find! We want to share 3 songs of that concert with you. Here they are. Enjoy! Between Münich and Mannheim she went to Switzerland to do 5 shows. We don’t have any material from this period except a video from a Swiss TV Show called Musicland. Here it is!! In Germany, Tina packed houses again and all shows were sold out. Friday the next part of this European Tour!! !